I’ll be at the Barnes and Noble in Madison , Wi, 7433 Mineral Point Road, for the AUTHORS IN THE BARNES on Saturday,April 20th. The event is from 10:00 to 3:00. Then on Sunday, April 28th I’ll be in Elgin at the Gail Borden Library for their Authors Fair. This event is from 2:00 to 4:00. It’s a really impressive library. I love going there. If you’re in the area, stop in. I’ll be surrounded by a number of good authors. It’s fun to meet and greet my current, and hopefully, future readers. Chicago Bound, my collection of short stories is now available at after-words books, 23 E. Illinois in Chicago. If you have never been there,it is so worth the visit. A book lovers must-see. It’s great to see an independent bookstore that is doing so well, in spite of dire predictions about bookstores and books. It’s been around for twenty years and I’m sure it will be around for many more decades. Go to afterwordschicago.com and check them out. When you go the store, tell Bev, the owner, that I said “Hi”. Many thanks to Stuart Dybek and Dominic Pacyga for making our first ever CWA Presents this past Sunday, such a great success. It was not only interesting, but so very funny as the two men exchanged not only their experiences, but their pearls of wisdom when it came to writing. It went by much too fast. And thank you to all that came out in the typical nasty Chicago weather for the event. And another thank you to the staff of the Chicago Cultural Center who helped make it the unforgettable event that it was. Until the next time! I am a board member of the Chicago Writers Association. If you are a writer or interested in the world of writing, please check out this organization. It has a lot to offer for writers event. Go to chicagowrites.org for more information on our upcoming events. There is a great one coming up in March! Extradition takes place after the killer from Damaged Souls is arrested in Phoenix. Since the crime took place in Illinois, the prisoner must be brought back here for the trial. What should be a standard extradition turns into a nightmare, not only for Kate, but for Paul and others. I also moved the storyline along of Kate and Paul. If you read The Reason, you know that they are married by then. And her last name is Harrison. I find it’s tricky to write a romance. It has to be believable and applicable in this day and age. But I think the intensity of their feelings rings true. The book is available on Amazon for $16.99. $16.00 if you purchase it directly from me. For a limited time and for U.S. readers there will not be a charge for shipping and handling. My e-mail is sandycbound@gmail.com and I would love to hear from you! Thank you for your interest and keep on reading!! A Great Review from Golfwell.net out of New Zealand ,of all places! I enjoyed reading The Reason by Sandra M. Colbert a fast-paced romantic drama which was a pleasure to read. The author has an interesting style with very interesting dialog that keeps you fascinated and gives insight into believable characters as this dramatic page-turner develops. Lots of emotion and drama. A moving story by a very talented writer who writes very well above the mainstream! The Reason is the first in the Kate Harrison series. The review will be on the Goodreads website, Barnes and Noble and Booktopia.com. I couldn’t be more pleased. It’s a thrill for any author to get good reviews. A review like this is keeps me going! Please check out this review for Damaged Souls.. It made me one happy author!!! Kate’s deepest fears were realized. and face the demons that drove her away. Time hadn’t eased the pain or erased the memories. …….and the killer was still out there. – How did Kate and Paul meet? It was not pleasant. – Why did Kate leave Phoenix and the police force? A lot of reasons, none of them good. – And just who is this Terrance guy? More details on who he is and their relationship. The book is available on Amazon. So you can order from Amazon or for an autographed copy – directly from me. Email me at sandycbound@gmail.com for a copy. The price is $16.00 plus $3.00 for shipping and handling. This was a more involved book to write and at times more difficult, but I am proud of it. I hope everyone enjoys it. And remember, if you enjoy, and I hope that you will, please tell others. Also, a review on Amazon goes a long way. Good reviews really do help generate sales. It’s greatly appreciated by this author and other authors, as well. Home improvement just took an unexpected twist for Kate Harrison and her family. Nothing in her experience as a Private Investigator prepared her for the journey that she was about to take. She needed her home back. She needed her life back. But when the truth is discovered, will it forever taint her home and her life? What demons are released when memories unfold? Thus begins the first in the Kate Harrison Detective series. It is the beginning of a series featuring Kate Harrison, a Private Investigator. It’s also the story of the love between the two main characters, Kate and her husband, Paul Harrison, a detective on the police force in a county north of Chicago. Two people who have had their share of tragedy and heartache. They found the love that eases the nightmares and soothes the pain of their damaged souls. I just got my first review on The Reason!! and it was a great one! I’m very excited about it. See below or go to the website for Chicago Writers Association, click on Windy City Reviews and there it is! Nothing makes an author feel like a good author then a good review. All of my books are available on Amazon. The Reason is also available at Barnes & Noble and Goodreads. If you are part of a readers group, I would be more than happy to meet with them. It’s great fun to talk about writing, and the books that I like, as well as written. Just e-mail me at sandycbound@gmail.com. 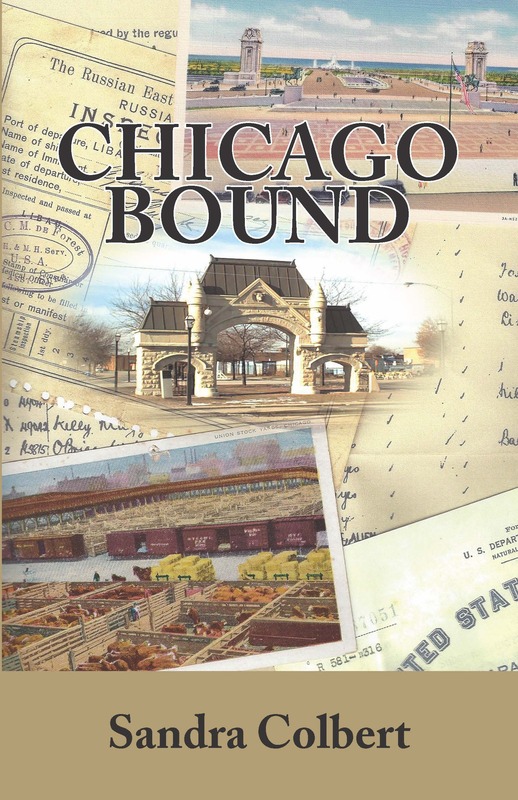 If ordered directly from me the purchase price for Chicago Bound is now only $10.00, plus $3.50 for shipping and handling for a total of $13.50. The Price for The Reason is $14.00, plus $3.50 for shipping and handling.